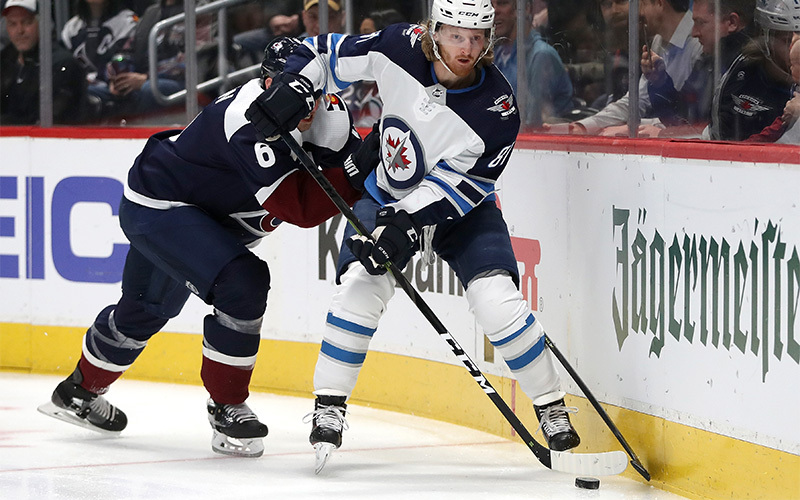 The Winnipeg Jets continue their final road trip of the regular season tonight when they meet the Colorado Avalanche at Pepsi Center in Winnipeg’s penultimate game of the regular season…The Jets are 1-1 on the trip so far after losing 5-1 to the Minnesota Wild on Tuesday night…Winnipeg plays its final game of the regular season Saturday night on the road against the Arizona Coyotes. The Jets have clinched their spot in the 2019 Stanley Cup Playoffs…It’s the first time in franchise history that the Jets have reached the playoffs in back-to-back seasons…Their magic number to clinch the Central Division is four, which would give the Jets their first division title since relocation…The Jets need to win their remaining two games of the regular season to guarantee the division title…If the playoffs started today, the Jets would host the Dallas Stars, who hold the Western Conference’s first wild card spot, in the first round of the playoffs. Tonight is the second of three time zones the Jets play in during their final road trip of the season…After staying in the central time zone on Monday against Chicago and Tuesday against Minnesota, the Jets play in the mountain daylight time zone tomorrow and mountain standard time zone on Saturday against Arizona…After staying in the central time zone for their first 10 games, the Jets will have played 26 games this season that were in a different zone time than the previous game by the time the regular season is over. Winnipeg is 21-18-0 on the road this season, which has set a franchise record for most road wins in a season…This is the only time in franchise history the Jets haven’t lost a game in overtime or a shootout on the road…The Jets have won three of their past five road games…Winnipeg hasn’t lost three consecutive road games in regulation since Dec. 10-20/16…Winnipeg is 17-for-19 (89.5%) on the penalty kill in its past seven road games…Wheeler leads the Jets in scoring on the road this season with 39 points (10G, 29A) in 39 games…Patrik Laine leads the Jets with 19 goals on the road. The Jets are 13-12-0 against Central Division teams this season…Winnipeg is 4-7 in their past 11 games against Central Division teams and need to win tomorrow to post their third consecutive plus-.500 record against divisional opponents…Since the start of the 2016-17 season, the Jets are 47-29-4 against Central Division teams, which is second in the NHL…In that same time frame, Blake Wheeler leads all NHLers in scoring against the Central Division with 98 points (28G, 70A) in 80 games. Tuesday’s loss ended Winnipeg’s 13-game winning streak in regular season games in April… The Jets are 19-1-2 in their past 22 regular season games in April, dating back to since Apr. 10/14…Blake Wheeler leads current Jets in career scoring in April with 51 points (22G, 29A) in 56 games. The Jets’ third and fourth lines have scored their past seven even-strength goals (excluding Kevin Hayes’ overtime winner on Monday) and have accounted for all the even-strength goals the Jets have scored in their past four games. Blake Wheeler earned his 70th assist of the season on Tuesday, which is a franchise record for most assists in a season…He has an assist in 48 of his 80 games this season…With 90 points (20G, 70A), Wheeler is guaranteed to have better than a point per game this season for the second consecutive season…Wheeler has scored 20 goals or more in six consecutive seasons…During the past four seasons, Wheeler’s 238 assists are second most in the NHL. Defenceman Jacob Trouba scored Winnipeg’s lone goal on Tuesday increase his career high point total to 48 points (7G, 41A)…Since Mar. 18, Trouba is second on the Jets in scoring with nine points (1G, 8A) in nine games…He is second on the Jets with 15 power play assists this season and has 21 (4G, 17A) of his 41 points on special teams…Trouba had 23 points (4G, 19A) in 48 games before the all-star break and has 25 points (3G, 22A) in 32 games since the all-star break. The Jets have points in 12 of their past 15 games (9-3-3) against the Avalanche. After scoring 12 goals in the first two meetings this season, the Jets have been held to two goals in the past two games against Colorado. Winnipeg has scored at least five goals in three of their past five games against Colorado. The Jets are 10-for-27 (37.0%) on the power play in their past seven games against Colorado. Winnipeg is 24-for-26 (92.3%) on the penalty kill in the past six games against the Avalanche. Blake Wheeler leads the Jets in career scoring against Colorado with 48 points (17G, 31A) in 33 games. Mark Scheifele has 24 points (6G, 18A) in 23 games against the Avalanche. Avalanche forward Colin Wilson is from Winnipeg, while Matt Calvert is from Brandon, Man. Jets forward Mark Scheifele and defenceman Tyler Myers played with the Avs’ Nathan MacKinnon for Canada at the 2014 IIHF World Championship. Scheifele and Connor Hellebuyck suited up with Avalanche forward Nathan MacKinnon for Team North America at the 2016 World Cup of Hockey. The Jets Tyler Myers and Colorado Tyson Barrie were teammates in the WHL with the Kelowna Rockets from 2007-2009. The Jets Andrew Copp and Colorado’s J.T. Compher were teammates at the University of Michigan from 2013-2015, while Kyle Connor played with Compher for the Wolverines during the 2015-16 season. Needs six wins to reach 700 as an NHL head coach. Needs four points to reach 200 points as a member of the Jets. Needs one shorthanded assist to pass Marty Reasoner and Patrik Stefan (7) for the second-most shorthanded assists in franchise history.